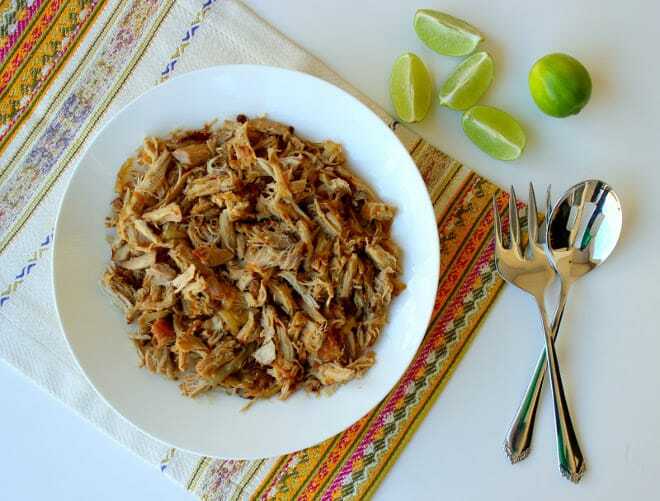 I’m so excited to share this Sweet Island Pork recipe with you! 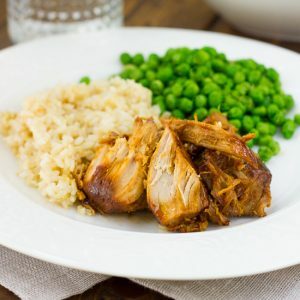 This is definitely one of my favorite slow-cooker recipes ever. I have to say that I am a slow-cooker snob. 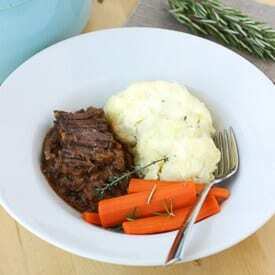 Most slow-cooker recipes usually fall short in some way with either lack of flavor, mushy meat, etc. This Sweet Island Pork will NOT disappoint! It is full of flavor and has the perfect balance of sweet and spice. My Aunt Karen gave me this recipe after she made it for Sunday dinner a few years ago. I have made it many times since and everyone always loves it. 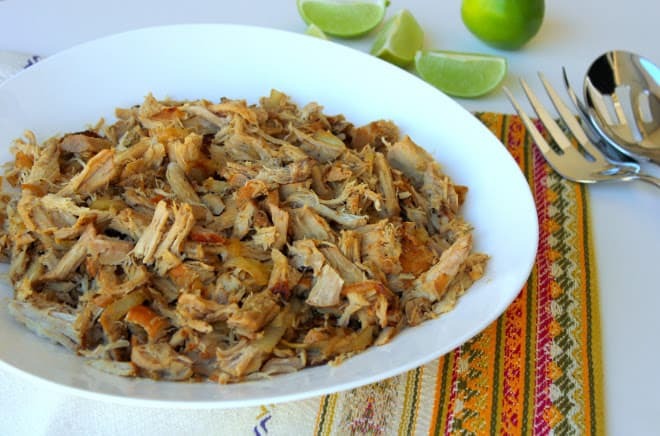 This pork is delicious served with coconut rice and topped with fresh mangos and pineapple. I’ve passed the recipe along many times and now I’m going to share it with you! Enjoy! This looks and sounds delicious! 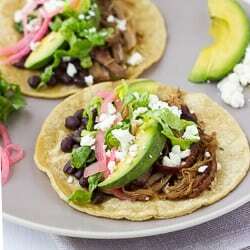 Sweet pork is one of my favorite meals, but I usually do a cafe rio style. I'm definitely making this, over coconut rice and with pineapple on top sounds divine! I put this over corn tortillas with black beans, caramelized onions and (you guessed it) feta! They were delicious! I'm making this for like the millionth time tonight. Life changing. Also, have I commented on this post enough???? I made this last night & it was SO good. Subbed garlic powder & cayenne pepper for fresh garlic and hot sauce, but it was still amazing! We barely had leftovers this morning, but they went great with scrambled eggs! 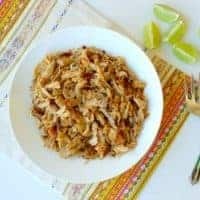 I’ve been making this for years and it’s my favorite slow cooker meat recipe! The recipe makes a ton so we eat it with rice and mangos the first night and then I use it for tacos the next night and then put it in a spinach salad the next night. It’s so versatile, love it!